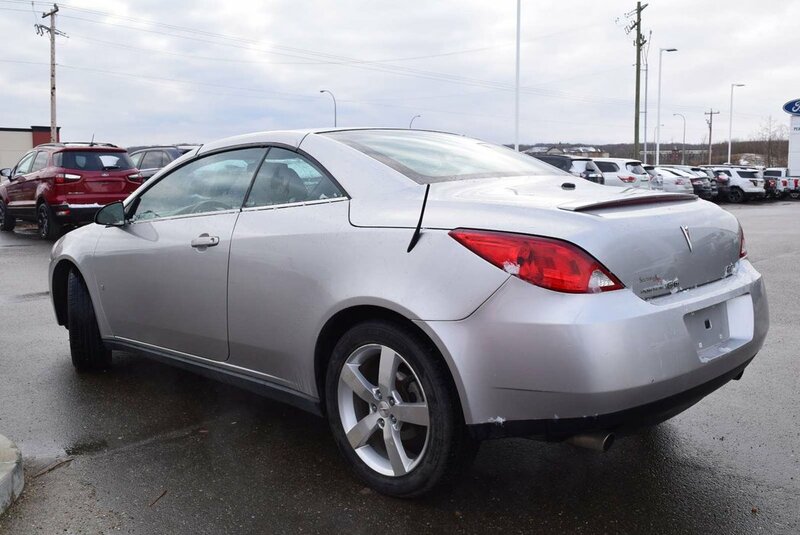 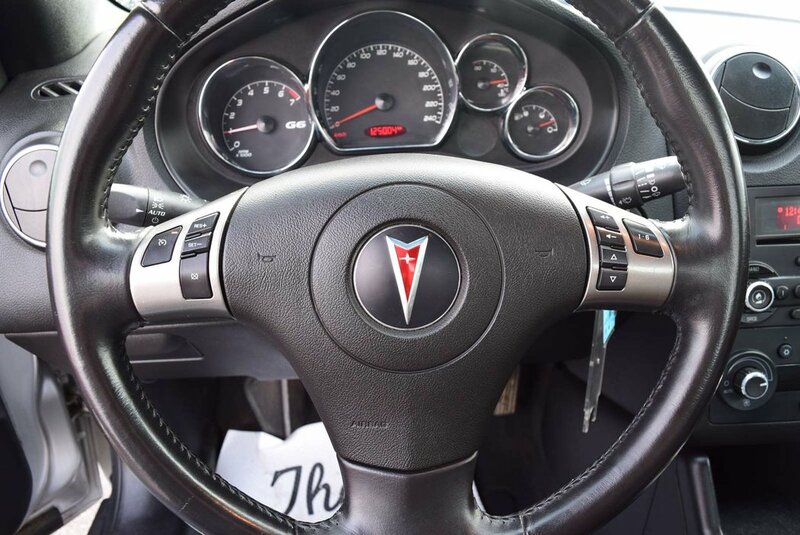 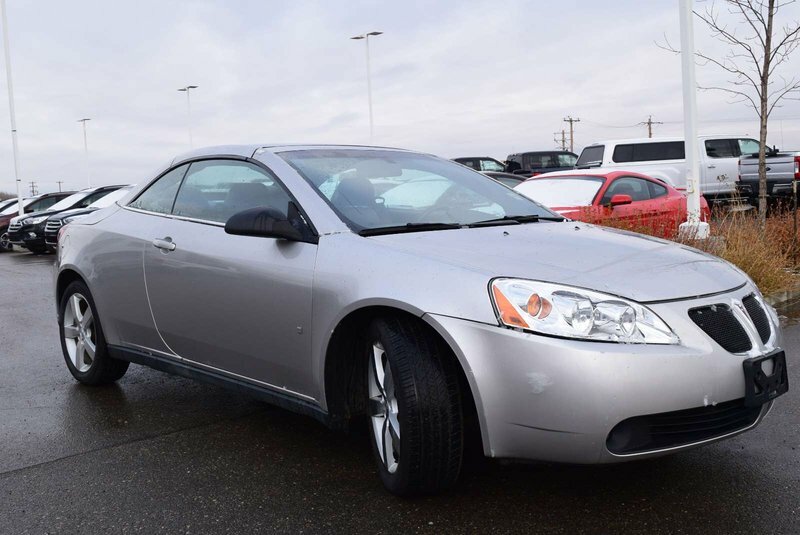 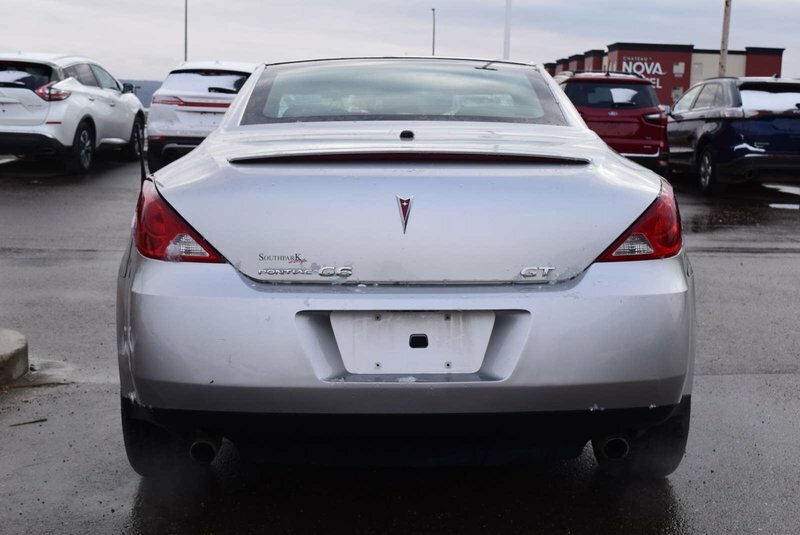 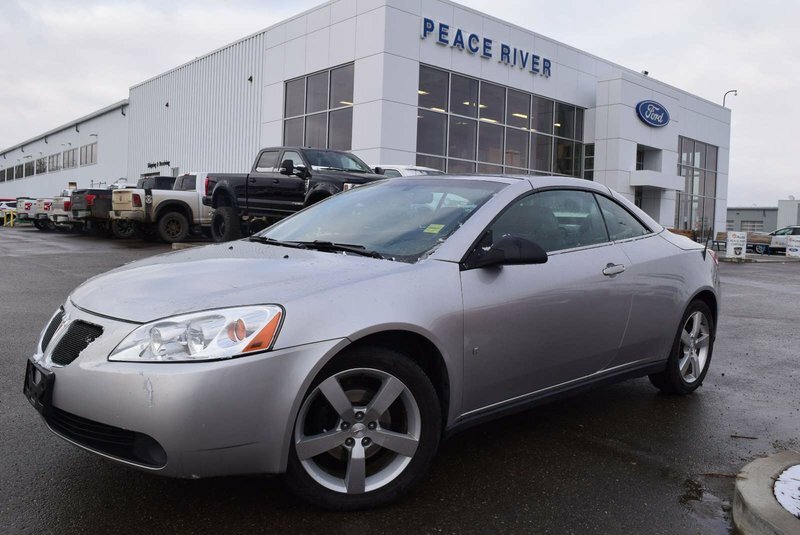 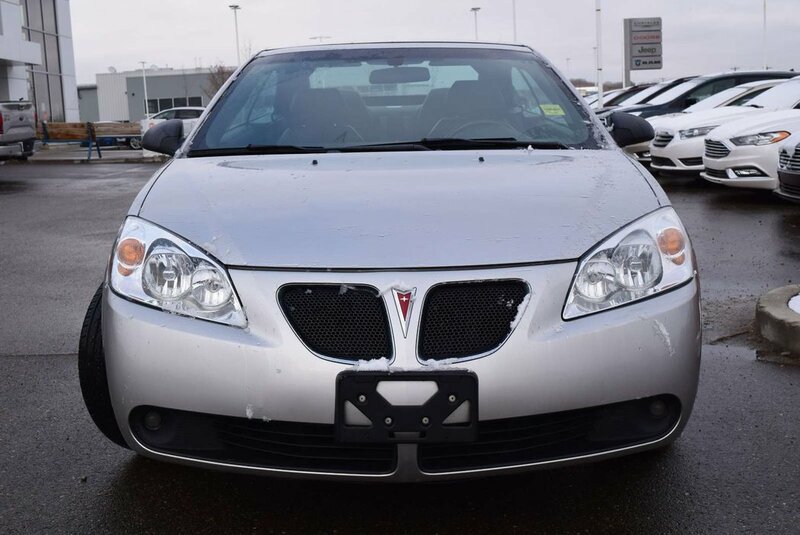 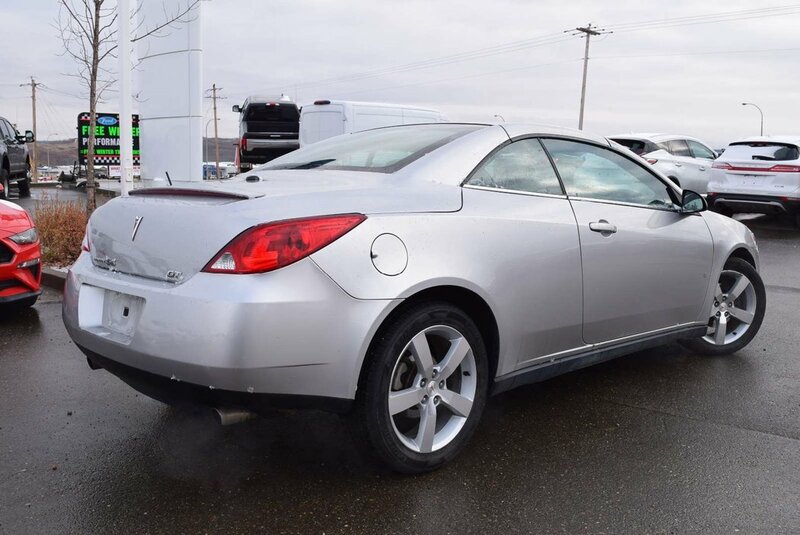 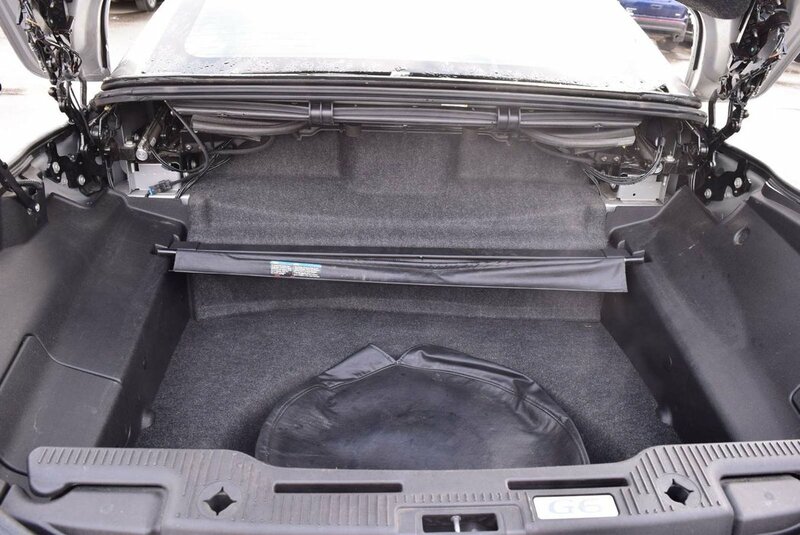 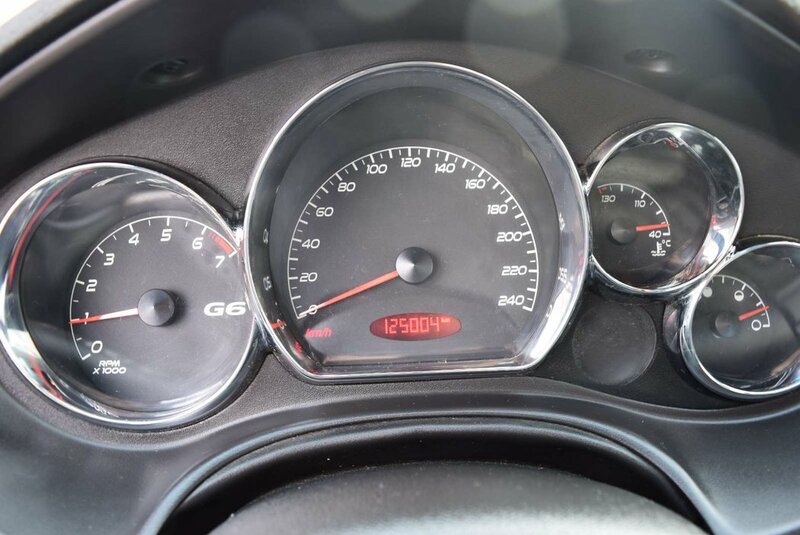 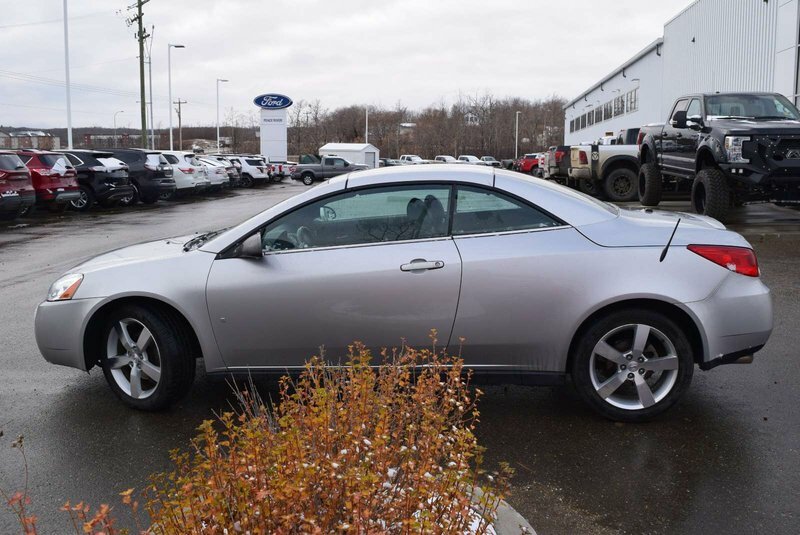 Abundant in power and style, our 2007 Pontiac G6 GT Convertible in Liquid Silver Metallic is all about performance! 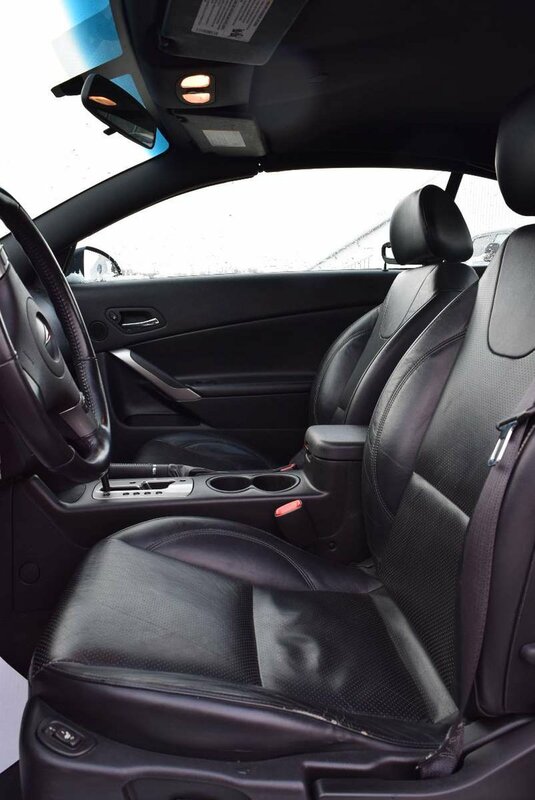 Powered by a 3.9 Litre 6 Cylinder generating 217hp while connected to a 4 Speed Automatic transmission. 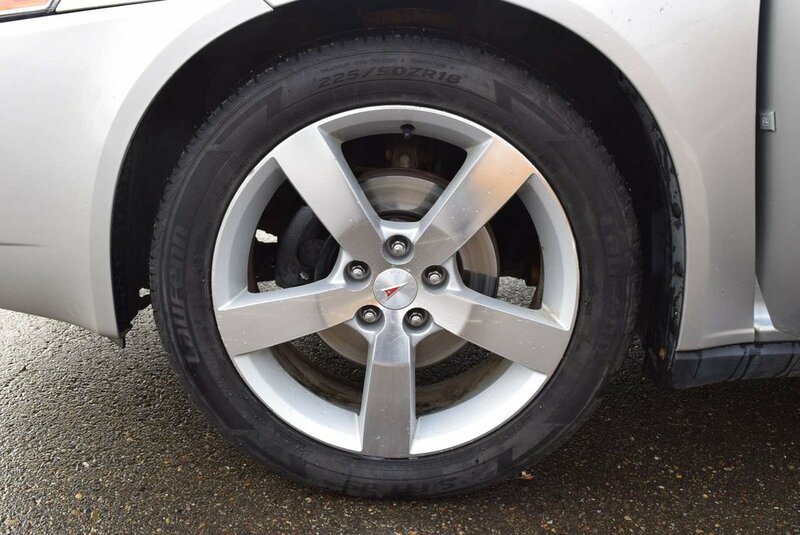 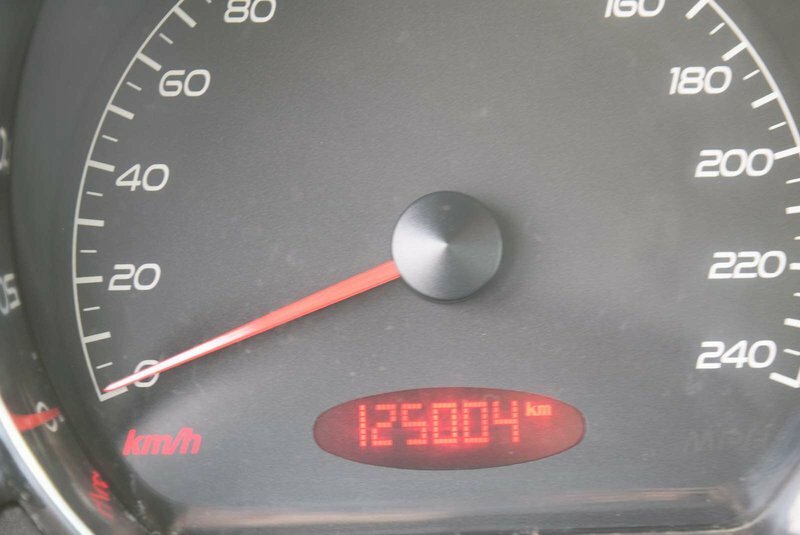 This Front Wheel Drive performs like a dream, waiting to take you down the road while earning near 8.4 L/100km on the highway! 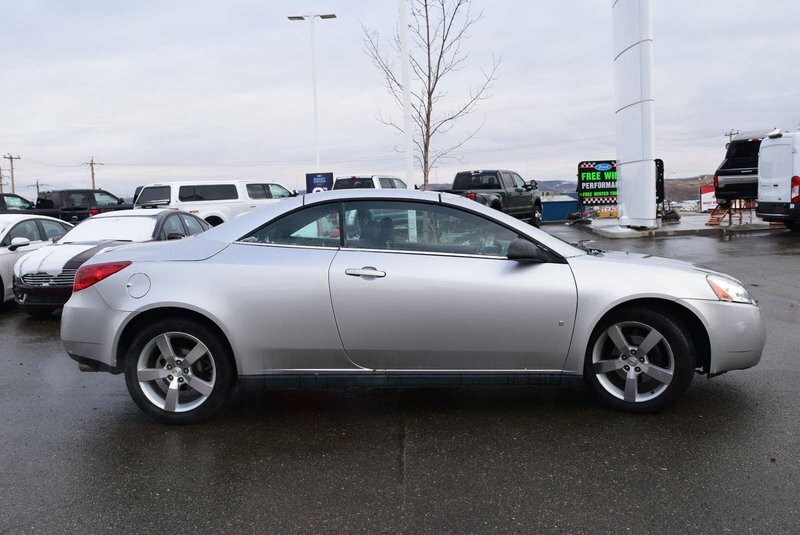 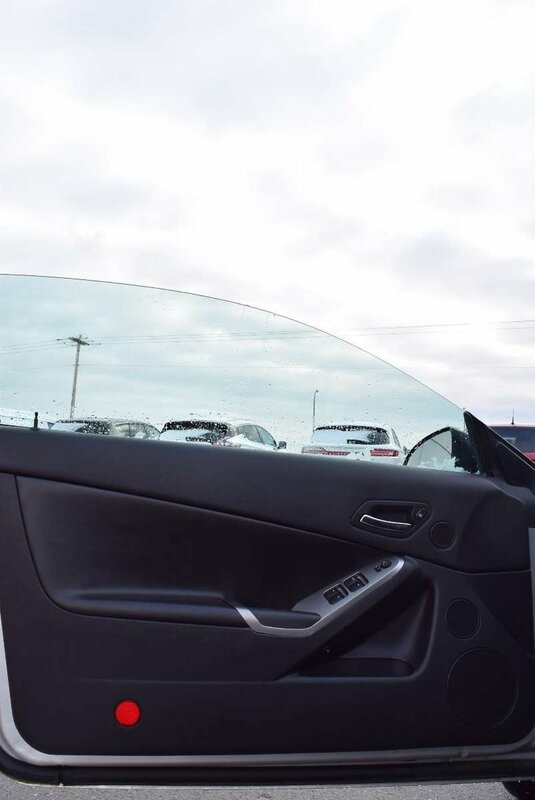 This sleek convertible offers up performance and style not typically found in the mid-size segment. 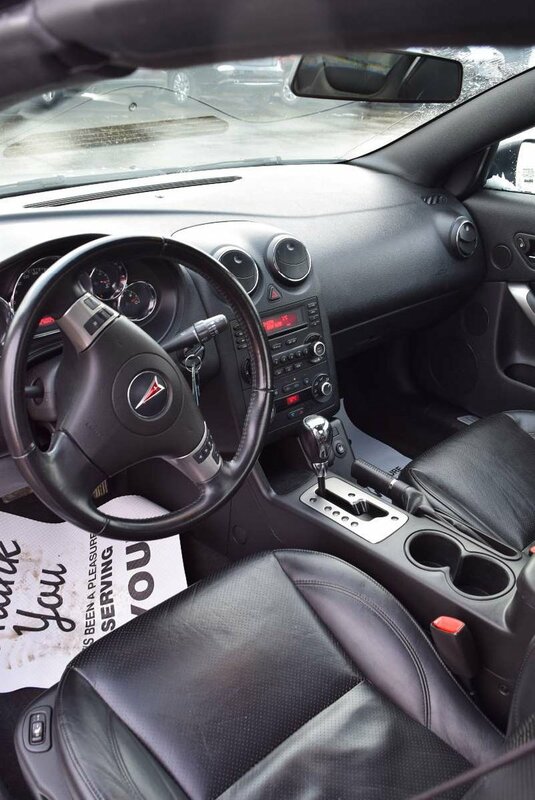 This sporty, driver-oriented GT interior with refined controls and instrument layouts is just waiting for you. 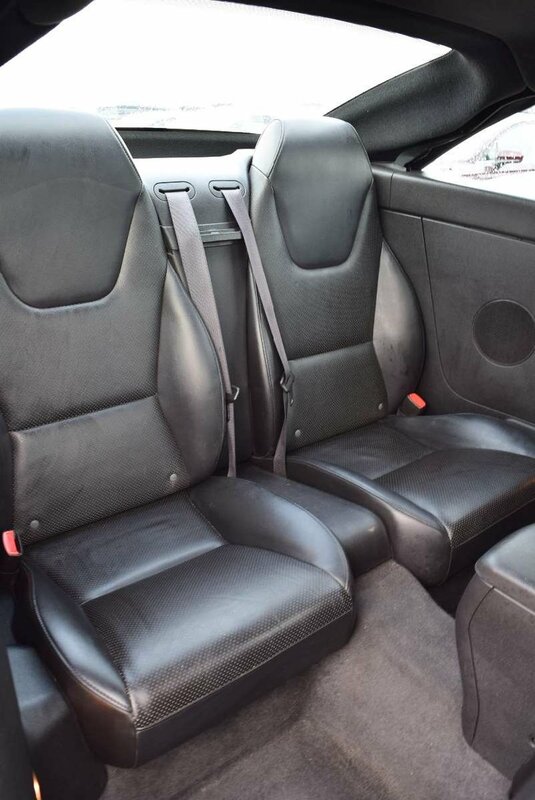 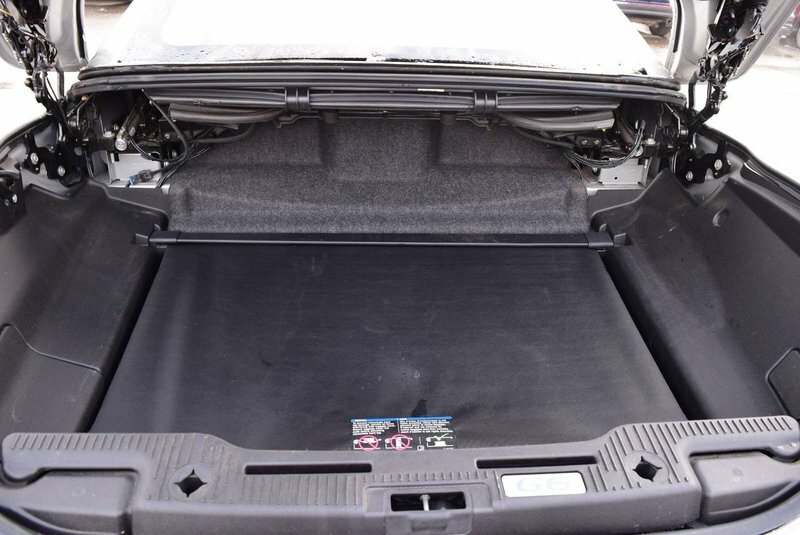 This convertible is stuffed with all the creature comforts you have come to know, love, and hate to live without. 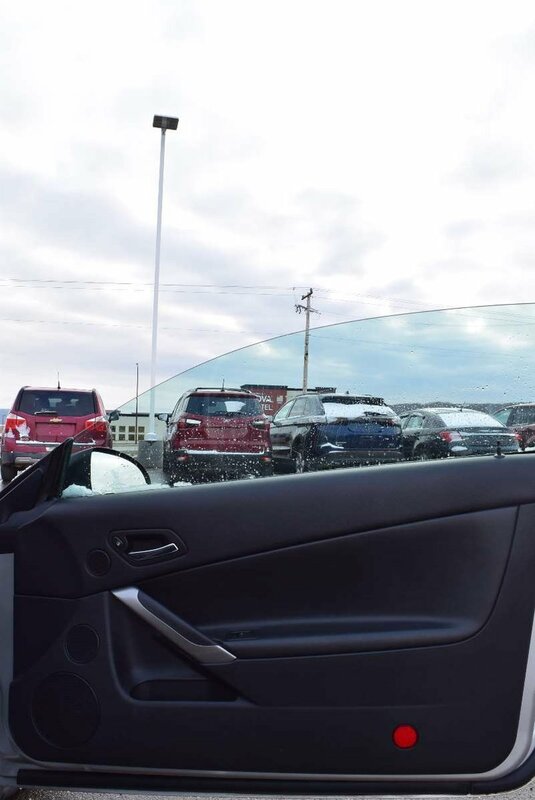 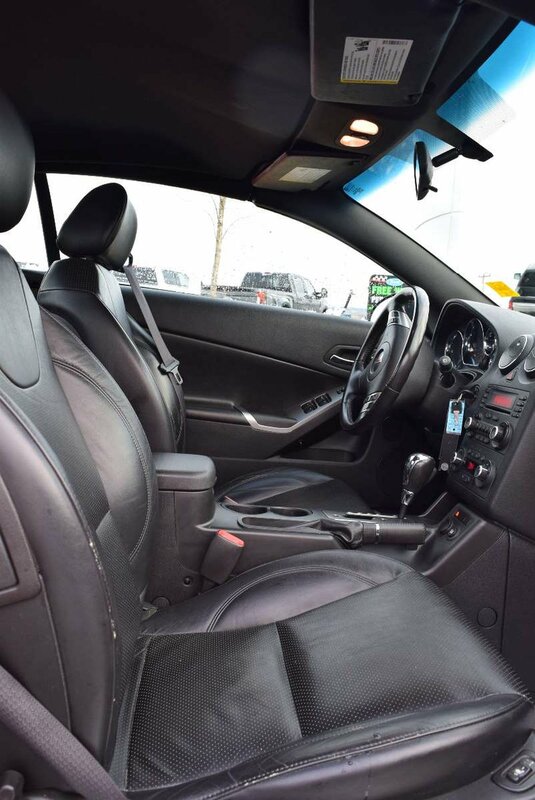 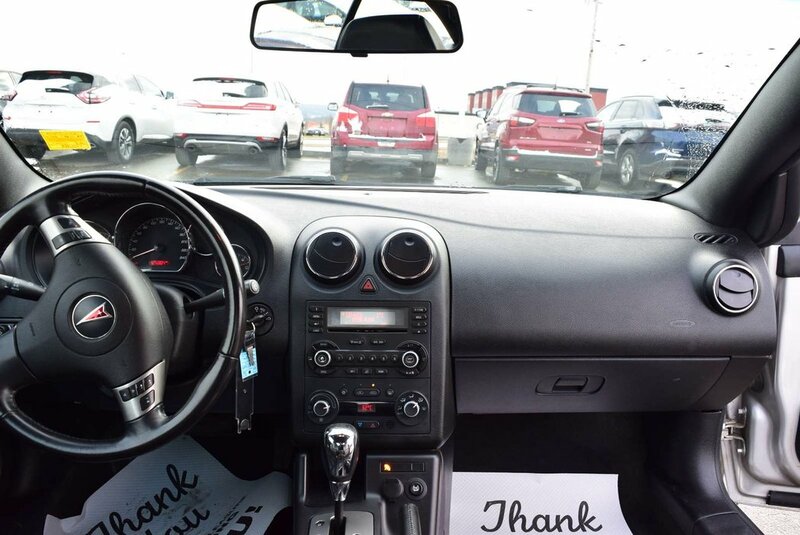 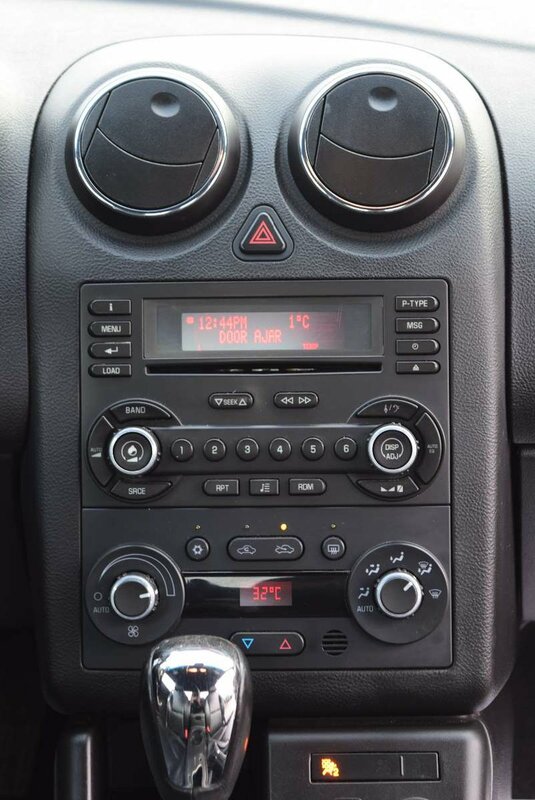 Settle into leather seats with memory and enjoy cruise control, keyless entry, power accessories, and the high-performance stereo system with a CD changer.